Thomas G. Yohe, the creative force behind television's Emmy-winning Schoolhouse Rock cartoons, which set educational messages to catchy music, has died of cancer. He was 63. Yohe, who died Thursday, was creative director of the ABC series of animated shorts that ran from 1973 to 1985. The show's educational anthems included "Conjunction Junction," a jingle about grammar, "I'm Just a Bill," about how a bill becomes law, and "Interplanet Janet," about the solar system. The series earned four Emmy Awards for outstanding children's informational series. "`Schoolhouse Rock' gave him the most pride in the world," said his wife, Diane Sanden Seely, recalling lecture halls filled with college students singing songs from the cartoons. The three-minute cartoons initially taught multiplication tables through lyrics such as "Three is a magic number" and "My hero, zero." The series soon expanded into civics lessons, grammar, science and history. 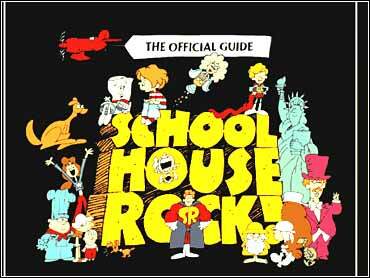 The idea for Schoolhouse Rock was born in 1971 while Yohe was at the advertising firm of McCaffrey & McCall, said George Newall, a friend and co-creative director on the series. Yohe pitched the idea to Michael Eisner, then head of ABC's children's programming department, Newall said. Eisner, now chairman of the Walt Disney Co., made the series part of the Saturday morning lineup. Yohe graduated from Syracuse University and began his career in advertising in 1961 as an art director at Young & Rubicam. Later he became creative director at Grey Advertising in New York City. In addition to his wife, he is survived by two sons, two daughters, two stepsons, a brother and four grandchildren.